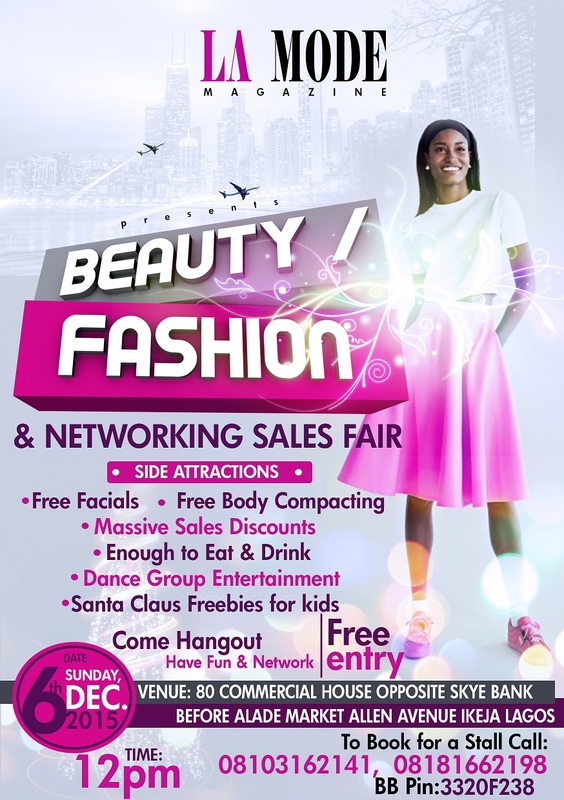 Why those in the beauty and Fashion business should exhibit @ the Beauty/Fashion and Networking Fair. Are you in the beauty and fashion business Do you buy or sell any beauty and fashion related products? Then, you should be at the Beauty and Fashion Networking Sales Fair. Do not miss out on this Xmas massive sales and networking drive happening 12pm Sunday December 6th @ 80 Allen Avenue close to Alade market opposite skye bank Ikeja Lagos!!!! Come Sell,Network, Shop, have Fun and Hangout. To exhibit call 08103162141, 08181662198 BBPIN:3320F238.